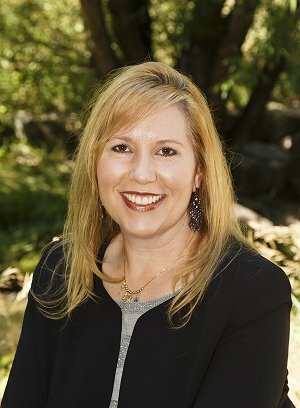 Martina (“Tina”) Ellmann began her legal career in 1999 when she served as a Law Clerk to the Honorable Brian D. Boatright in the 1stJudicial District, Jefferson County, Golden, Colorado. Although then a District Court Judge, he is now Justice Brian D. Boatright on the Colorado Supreme Court. Tina then moved on to become Assistant Regional Counsel for the Social Security Administration in Denver, Colorado, working on appellate cases. Tina’s next experience involved working part-time at the Law Offices of Jennifer S. Gormley, gaining knowledge in the Probate and Estate Planning areas. In 2005, Tina scaled back her practice of law to focus on raising her three beautiful children including 2 daughters and a son. Intermittently, she also worked as a contract prosecutor for the City of Englewood Municipal Courts until her husband, Kevin Ellmann, left the Office of the District Attorney and they decided to open their firm Ellmann & Ellmann, P.C. together. Tina worked part-time handling administrative issues within the firm until coming back to work as an attorney handling probate and family law cases. Tina’s focus is on probate matters, as well as family law/domestic relations cases and estate planning, with a passion for helping others through some of the most difficult times of their lives. Tina offers caring and compassionate representation while at the same time representation that is both diligent and extremely detail oriented. If there are complex or difficult details in your case (especially ones that are often missed or ignored by other attorneys), Tina finds them! Most importantly, Tina prides herself as a Christian attorney handling her matters with her Faith in mind at all times.